One person has died in a weekend house fire southeast of Luskville, Que., local police say. 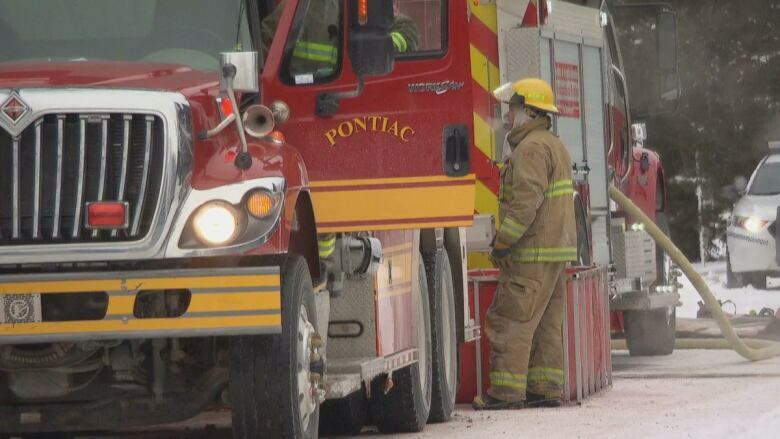 The fire broke out Saturday morning on chemin Kawartha, completely destroying the house. Sgt. Marin Fournel of the MRC des Collines-de-l'Outaouais told Radio-Canada Saturday afternoon that police believed someone was inside the residence when the fire broke out, but officers hadn't yet recovered a body. Shortly after 6 p.m., the police force announced the person's body had been found. Fournel said the case does not appear to be a criminal one. The victim's name has not been released. Chemin Kawartha is located in the Pontiac region, approximately 20 kilometres northwest of downtown Ottawa.